You probably don’t need to be convinced of the importance of getting free book reviews as well as kindle reviews for your ebooks. However, how does a new author get those crucial Kindle book reviews that will help to drive up sales? That’s all fine and dandy…if you have those resources at your disposal or are willing to trade in your friendship for a favor. The ones who don’t have raving fans ready to drop reviews on request. Or those of us without a giant email list, social media following, and oodles of friends that we ‘want’ to send our ebook to? Despair, not my friends, because in this guide on how to get book reviews, I’ll show you how you can legally, and legitimately get those reviews, even if you’re a brand new author. And yes, as you’ll see at the end of this article, each step is fully compliant with the up-to-date Amazon rules for getting book reviews. Also, while I’m writing this with the new author in mind, it’s totally applicable to all authors. Podcast Episode – Rather Listen Instead? 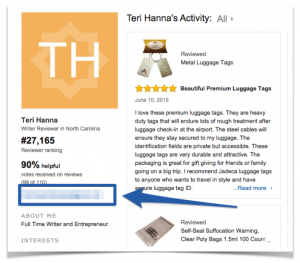 Did you know that certain Amazon shoppers make their contact information public willingly? More importantly, these same shoppers also like to leave book reviews for free. Inside of your own Amazon account, you have the ability to put your email address in there and make it public. Now before you freak out about the potential of your email being seen publicly, you have to actively go in there and actively make it public. Amazon doesn’t do that automatically. But there are customers out there who do exactly that and make their email public on Amazon. If you click on their Amazon account name, you can see their email address. A). It was a complete mistake and they didn’t know what they were doing when they took all those extra steps to make their email visible. B). They want people to know they do reviews and contact them about it. Some people are professional reviewers. They get that cool tag as a top reviewer and garner the attention of companies looking for good reviewers to leave reviews. Well, guess what. We authors can find these reviewers, contact them and send them a copy of our book, and that’s exactly what I’m going to show you. So, with that, let’s begin! First, we want to find a group of books our target readers would probably love. The idea is that if they read that book, and left a favorable review of that book, then they’ll probably be interested in reading our book. If you already have a book of yours in that niche or genre, then add it to the list. It’s always good to get the email addresses of those who have already read your stuff and left a great review. Go to your target category lists and peruse the top 100 books to see if any of them are a good fit. Go to the Amazon search bar at the top, and type in words that would describe your type of book – be specific so that you find books that really are close to yours. Now select “Top Rated” and filters by “All positive.” We sort by “Top Rated” to start with the best reviews, which are usually written by serial reviewers who are most likely to share their email address on the reviewer profile (you can usually skip one-sentence reviews). We check “All positive” because we don’t want to get reviews from people who didn’t like a similar book. Look to see if their email is listed and if so, copy it, and write it down under that book in your list. Repeat steps #1-5 for each book making sure to list each email under the name of the book you found the reviewer under. This step is by far the most time-consuming. It will probably take you at least several hours to find 100 reviewers as most people (95% or so) don’t share their email address on their reviewer profile. However, there is something that will do all of this for you in just a couple of minutes. Now that we have this amazing list of email addresses of willing and able reviewers, it’s time to connect. But, you need to do this individually. We want to legitimately connect with them and make sure that they feel as though we are individually reaching out to them and not just mass emailing. If it looks like you just copied and pasted, your conversion rate for this process will be extremely low. Bring up one part of their review so as to show that you actually read it. Write 5 sentences or less. Most of these people are busy reading and reviewing other books, so they’ll appreciate if you respect their time. I saw your review of [Book Name] back in [date review made]. I completely agree that [Author name of the book] did a great job with [Aspect of their review]. I see that you’re a fan of [genre or niche]. I’ve got a new book coming out that I think love called [Title]. If you’d be interested, I’d love to send you a free copy of the book in return for an honest review. If so, let me know which format you’d prefer. See? Does that feel spammy? Over the top? If this person likes those kinds of books, and you personally reached out to them about it, why not take a free book. Now that you have a couple of people who have agreed to read your book in return for a review, it’s time to send them a copy. Although, this step is easier said than done. There are two ways of doing this legally and legitimately (as you’ll see in the Amazon rules listed in the next section). 1. Ask them what format of your book they’d like to receive (epub, mobi, or pdf). I recommend asking, instead of just sending them all three versions. If you have something like Dropbox, you could put the book in your Dropbox and just send them a share link. 2. Use a service like Book Funnel where it will make it very easy for your potential reviewer to get a copy of your book in any format, but also ensure you can manage the book and not find it on a book pirate site. Basically, Book Funnels makes giving copies of your book easy and safe and is only $20 a year. I can also act as a landing page if you are a writer who doesn’t have their own website or any of that other stuff. When sending them the link, be sure to tell them when you’d like to receive a review from them – 2 weeks is a good time frame. If you’ve yet to launch your book, let them know you’ll send them a link to the product page once your book goes live. Not all of the people who have told you they’ll review your book will review it. Sometimes life just gets in the way. Expect about 20% to post their review within your time frame without a little nudging. To squeeze a few more reviews out of this process, send a polite follow-up a week after your deadline reminding people to post their review. This additional step should generate a few more free book reviews. In the end, one out of three people who initially replied to you should post their amazon review. Now, for some of us, we’d rather be writing our next book or employing other ebook marketing tactics than searching for useful email addresses. But there is no denying the importance of those initial reviews. Thankfully, Book Review Targeter can help. Instead of you having to use your time looking for potential reviewers and following all of the steps above manually, this program will do it for you. Then a list of books will appear and you need to choose which ones you want the program to extract the emails of past reviewers from. Once the results are ready, you can choose from which group to extract the emails. Now, enjoy having a list of reviewers who have favorably reviewed other books like yours. 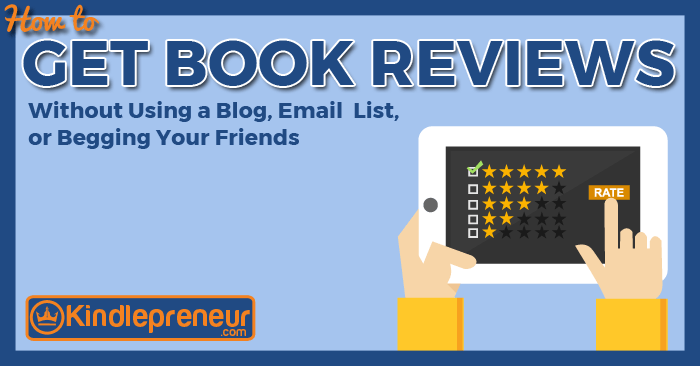 Get to writing those emails and enjoy the increased number of free book reviews. One thing I really like is that you can do all the emails right from Book Review Targeter program and even create legit templates that import data like the Title of the book they reviewed, and when they left the review. However, don’t forget to be personable like mentioned above. Also, you can see my good friend CJ Anaya’s full video showing how she uses it here. There is a little bit of confusion when it comes to giving a free book and asking for reviews. In truth, Amazon was a little confusing about how they look at this. YES, you can give a free copy of your book in advance for a review. But there are some caveats and nuisances to this statement. So, check out the video below and learn all about Amazon’s Book Review policy and ensure you are continually operating in Amazon’s good graces. No matter which route you’ll go, there’s no easier way to get the initial reviews, especially if you’re an unknown author. An additional benefit of this approach is that you’ll get to speak with your readers directly, thus getting valuable feedback and building new relationships. I hope you enjoyed this guide on how to get free book reviews. It seems pretty straightforward, but can be a little time-consuming…but as most authors will tell you, getting your book reviewed can be a powerful metric that should have a positive effect on your Kindle sales.